Research indicates that although women have progressed in their representation in management positions in corporate organizations, they are still subject to gender inequality (Cohen & Huffman, 2003; Gazso, 2004; Karlin, England, & Richardson, 2002). For African American women, they are further subjected to race and class inequalities. 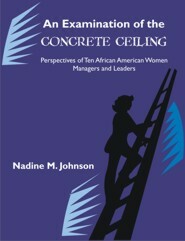 The proposed research is intended to examine the unique personal and professional views and experiences of 10 African American women managers and leaders working in White, male-dominant cultures. It will further determine if these African American women working in such a culture agree in their perceptions of inequalities contributing to the low representation in managerial and leadership positions within their respective organizations. Nadine Johnson is a certified Senior Professional in Human Resources and currently serves as a panel member on the SHRM Ethics Committee. She recently became a Ph.D through Capella University and her area of study was Organization and Management with a concentration on Leadership. Dr. Johnson plans to begin inspirational and motivational speaking in the near future.